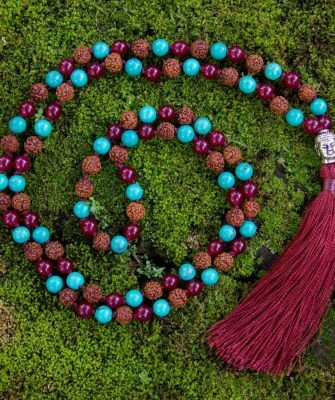 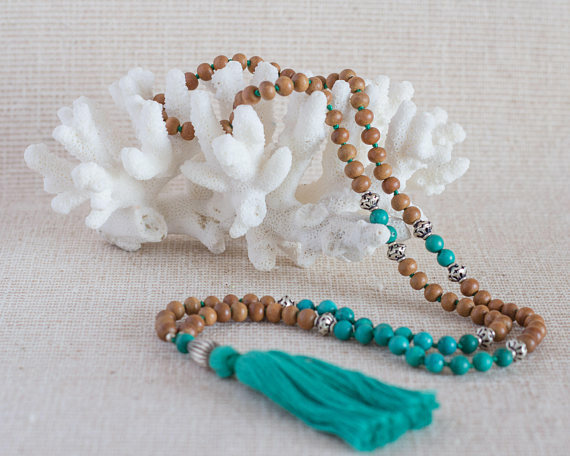 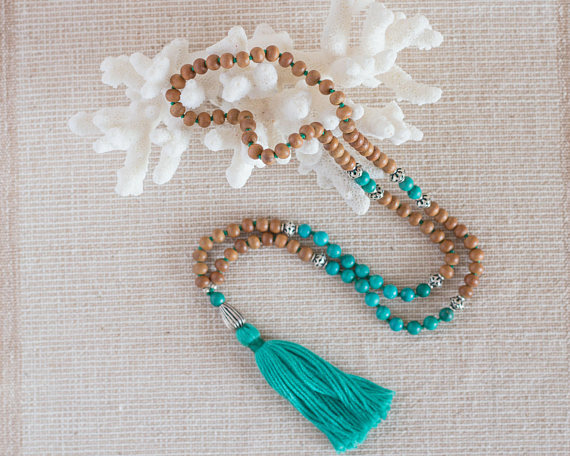 The Speak Your Truth Mala has 108 prayer beads of beautiful Turquoise and Sandalwood beads. 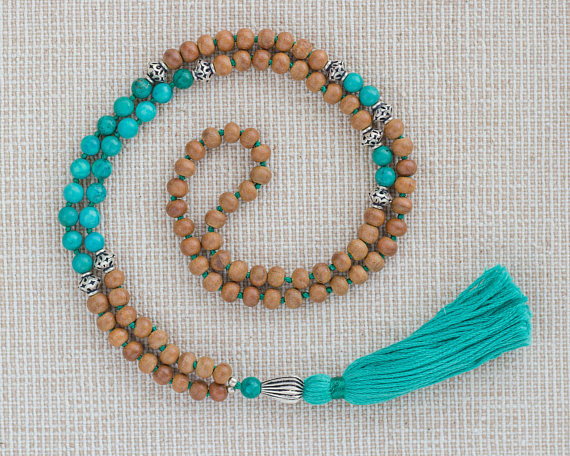 Green Turquoise carries a self-realization, balancing element, calms the nerves for speaking in public and is especially useful for healing the throat chakra. 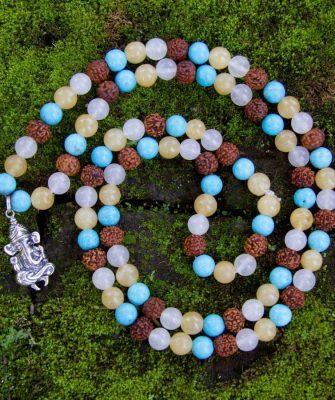 All stones and silver come from trusted high quality sources in India and Bali and they are a true representation of nature’s intent; none are artificial. 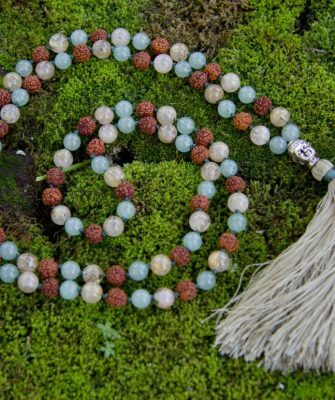 We believe Mother Nature graces us with incredible beauty and we have much respect, love and gratitude for her. 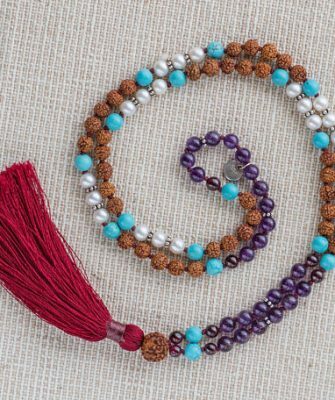 You can use the mala for praying, reciting mantras or may be worn as jewellery as a constant reminder of your spiritual connection. 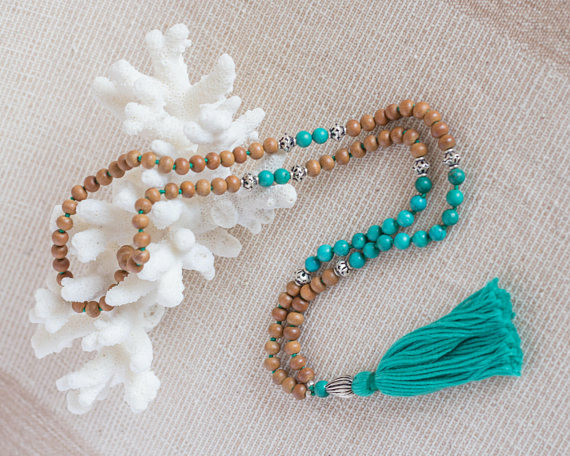 Please wear them and hang them with care. 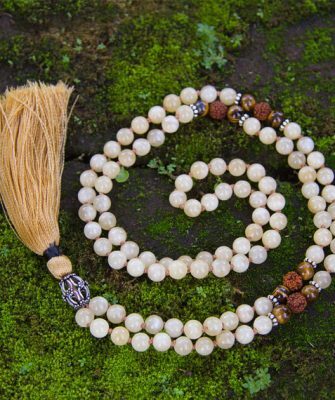 We hope that with our Japa Malas people will feel inspired to live peaceful, happy and mindful lives! 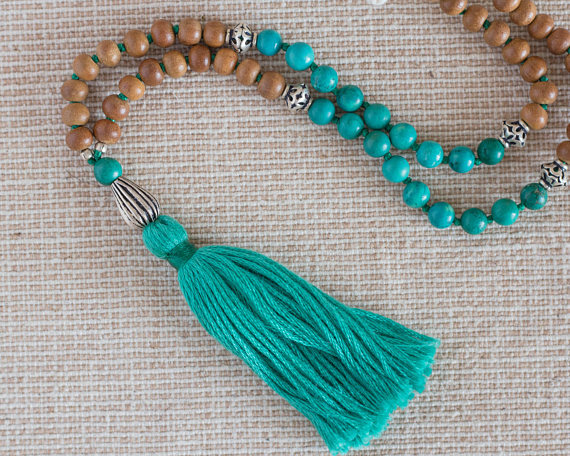 This Mala measures 43 cm from top to end tassel.